People over 55 are the fastest growing consumer market for cannabis. Baby Boomers, or those born prior to 1965, aren’t babies anymore but they are the fastest growing consumer demographic for cannabis products. Media reports and academic studies attribute the trend toward (literally) maturing markets and increased public acceptance of cannabis use, as legalization continues to expand across the world. But Boomers aren’t the only group getting cannabis-friendly. Customers in their 70s and 80s, or those born in the years right after World War Two (and prior), are also increasingly using cannabis products, primarily, to treat symptoms of advancing age. 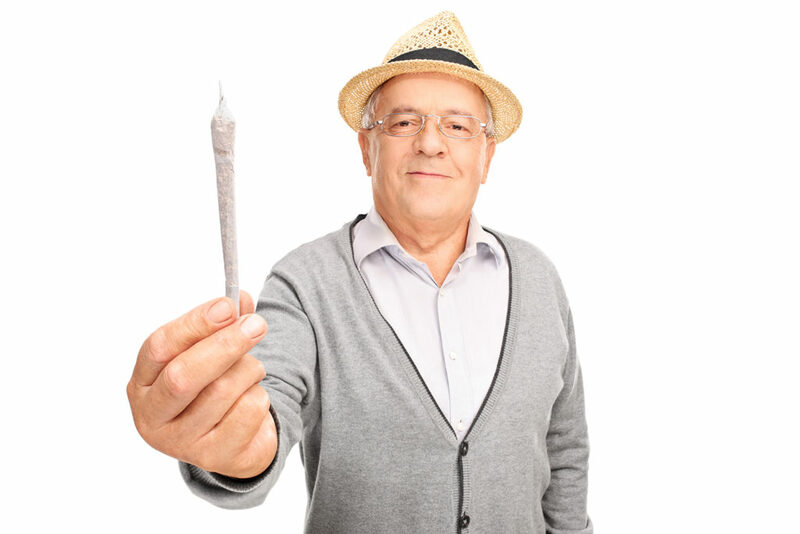 Here are some tips how to welcome more mature cannabis clientele to your cannabis dispensary. The city is made up primarily of the senior community of Laguna Woods Village and was the first city in Orange County to approve medical marijuana dispensaries. The median age in Laguna Woods during the 2000 Census was 78 years old. So you can’t be giving recommendations based on an urban myth. Education, education, education, that’s it. Seniors have been using cannabis on and off for over 50 years and most people don’t realize all of the medical benefits, all of its potentials until you really started studying the cannabis industry. Specifically, the current boom in CBD-infused products, many of which have been attributed with a near-miraculous potential to treat nearly every common medical malady. Too properly train budtenders and product vendors, he felt, recommend products to seniors that are ineffective and costly. 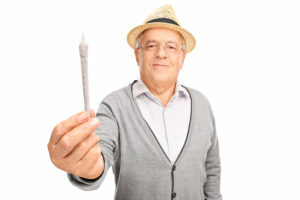 If senior citizens are a significant population for you and you’d like to attract loyal customers and repeat sales, it would be worth the investment to have a designated staff member go through specialized cannabis industry training on the endocannabinoid system, how cannabinoids work, their effects, as well the as potential for drug interactions and correct dosing. Elderly patients especially are using cannabis products specifically to treat medical conditions and require a higher level of customer service. They also should discuss with their personal physician, any serious medical questions – though many doctors also are under-educated about cannabis use. The lack of appropriate products found in cannabis dispensaries for senior patients with ailments like neuropathic pain, cancer, and other serious conditions. It is always recommended to provide senior members with organic flower and extracted its own concentrates. Elderly patients prefer tinctures, capsules, and topicals so dosing can vary greatly between levels of tolerance, as well as the differing effects on each individual. Seniors should carefully monitor the effects of cannabis, in order to pinpoint which products are working for them and to avoid any adverse effects. Like other experts agree, many CBD products were ineffective without a blend of other cannabinoids, including Tetrahydrocannabinol (or THC), to optimize the “entourage effect” from full spectrum oils and extracts. A recent research study followed elderly patients that were treated with sublingual drops containing varying ratios of Cannabidiol (or CBD) to THC. Researchers at the Dent Neurological Institute in Amherst, New York, found that treatment with a 1:1 (THC to CBD) cannabis tincture was most effective, with the least side effects. Fifty percent of the study subjects reported less pain, and 70 percent indicated they felt “better.” Researchers concluded that cannabis treatment might help some seniors discontinue opioid medications for pain. T’Oakland (pronounced “Toke-land”) Senior Canna Club last week was featured in Oakland Magazine and the club’s members meet to talk about cannabis topics as well as socialize. When you go to cannabis events, they’re mostly geared toward youth. The music. The whole environment. Senior people are also interested in cannabis but don’t want to go to those events. So, put together a space for seniors. Taking a cue from T’Oakland, dispensaries might set aside one night a month to offer special discounts and demonstrations to seniors in a comfortable setting. Some dispensaries have even offered shuttle service to their locations for seniors that need a ride. It’s best to make pre-arrangements with local senior community representatives or a senior canna club, before showing up with the limo van, though. Dispensaries and vendors should also check with their legal counsel, to make sure any offer of transportation or promotions in is compliance with local and state regulations. Interstate travel should not be allowed. And if there is no senior canna club in your area, but you see potential – why not start one? Promote your senior events with email reminders, sales, and special giveaways. Seniors love to talk and they use social media, too – and word-of-mouth advertising really helps to build your brand’s credibility with older consumers. This entry was posted in Cannabis Industry, Cannabis Topics and tagged senior cannabis citizens, senior cannabis customers, senior citizens, senior marijuana citizens, senior marijuana customers.